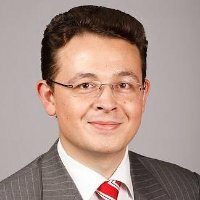 Rinat joined Lloyds Banking Group in 2011 and has over 15 years of experience in financial proposition development internationally. Rinat is the new product developer for Lloyds Banking Group, responsible for current accounts business development, as well as for retail business banking product range business development. Rinat is also chairing New Product Development forum within the Lloyds Banking Group, where innovators and new product developers across LBG brands, products and channels meet to coordinate their efforts, network and learn. Previously he was the Business Development Vice President at AUB (start-up bank in emerging markets growing from 0% to 37% retail market share in just 8 years) and had various roles in proposition development and business development in a number of banks internationally. In addition to his role in LBG Rinat is mentoring start-ups in school of Social Entrepreneurs. Rinat is also a keen motorcyclist and keen traveller who visited 150+ cities across the globe (not only on motorcycle).